As far as the Metal Gear Solid series goes, I feel Snake Eater was honestly the best. At least when it came out. Outside of delivering the most exciting sneaking gameplay (what with the loss of an extremely convenient radar), Snake Eater also had very versatile gameplay; you could sneak or run-and-gun, starve your enemies or put them to sleep, even face a boss or take a sniper shot at him after a cut scene and avoid the confrontation altogether. 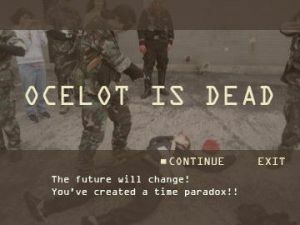 To boot, Snake Eater had a surprisingly moving story and gripping characters who developed naturally – a feat of which both Sons of Liberty and Guns of the Patriots fell short. But What Makes It a Game for Writers? It’s simple; I can sum it up in two words: Time Paradox. Part of the reason why the gameplay is so awesome is you don’t have the advanced tech from previous installments. That’s because Snake Eater is a prequel that takes place in the 60’s; you play the villian of the first two games, Big Boss, back when he was Jack. And that’s the point really; I knew that Jack had to survive because he had to be in Metal Gear and Metal Gear 2. Regardless of knowing that though, I was still not only engaged by the plot, but genuinely worried for Jack’s safety. This isn’t a small achievement for writers. George Lucas did an awesome job of making sure we couldn’t possibly care less about Darth Vader’s life before he became Darth Vader (in actuality, he made most of us start pretending Vader was just born with that suit on). Snake Eater never disappoints in this respect though and manages to never, ever drop the tension. Even when Jack is put in complete jeopardy, you don’t just shrug – you wind up being worried that he’s going to die. And perhaps even more of a success, you remain engaged in Jack’s struggles with other characters even when you know they won’t die either. How’s It Done and What’s to Learn? The key here is also simple: good writing. A staple of any good story is the author’s ability to put his characters into believable jeopardy. Honestly, unless a story is aiming to be different, there’s just about a 100% chance a protagonist is going to survive whatever is thrown at him or her. Trying to write around extremely solid (heh… sorry) evidence that your protagonist’s going to be fine can be even tougher. 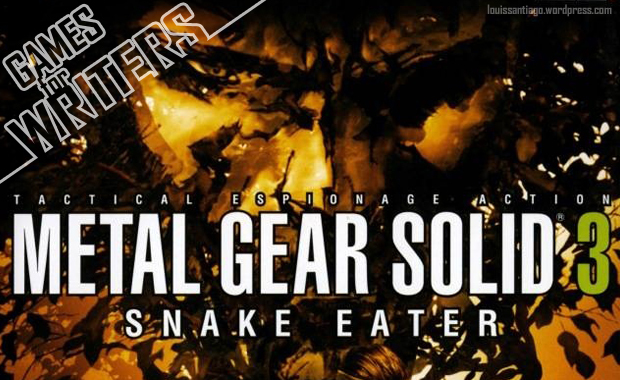 So pick up a copy of Metal Gear Solid 3: Snake Eater and see how it’s done. Learn just how far character interactions, depth, and diversity of plot can go to intrigue an audience and keep them guessing no matter how certain they are that everything’s going to be just fine.